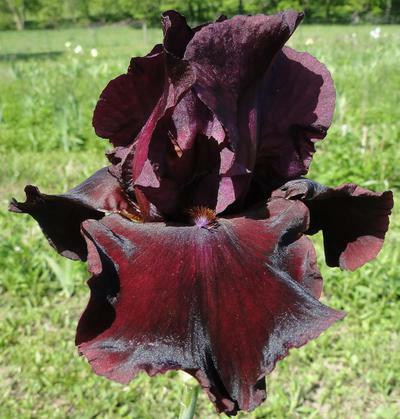 Red Rider-(Larry Lauer-1998)-Tall Bearded Iris-34 Inches Tall-Early Bloom Season-Ruffloed standards light plum. Ruffled falls dark reddish plum. Mustard beards. Slight mild fragrance. Strong growth with ample stalks.